It has been a tough year in industry for many and we can all hazard a guess as to why. From myside I see the outlook as very positive with the specification market still relatively buoyant and technology driving the market forward at a reasonable pace. What has struck me this year is the confusion that still exists within the market with regards to the new technologies and how these will be delivered to the market. 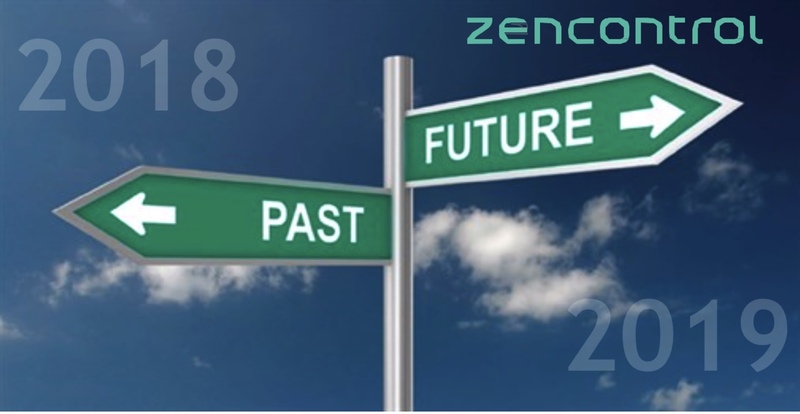 Rather than extol the benefits of the different systems in the market I thought I would focus on what we at zencontrol/ Ektor have achieved this year and where we see 2019 evolving with both lighting control and emergency lighting. Obviously, there are a number of caveats and I am giving a high-level overview for commercial reasons, I don’t want to tell the competition everything; if you want to know more then please contact me for a chat or any of my colleagues globally. DALI-2 has made a major impact within the lighting market with many of the driver/ ballast manufacturers approving their offerings through the Digital Illumination Interface Alliance (DiiA). Embracing the enhanced features of IEC 62386 Part 102, DALI-2 has finally come of age and ensures that drivers are interoperable. The first tranche of compliant drivers/ ballasts was listed in September 2017 and have subsequently been updated by most of the major ballast manufacturers. Controls where also standardised with Part 103 addressing both switches and sensors and for the first time DALI-2 sensors from different manufacturers could be used on the same DALI subnet. It does beg the question, why on earth would you still allow or even specify a proprietary sensor. Simplifying the controls design and removing the risk of redundancy, DALI-2 has been a commercial game changer for designers, installers and the end client. The advent of smart sensors based on IEC 62386 Part 103 has also laid the frame work for the first true IoT lighting solution. These intelligent sensors can be polled, and detailed information obtained on occupancy, daylight and other features all based on an open protocol. We have also seen a huge rise in the interest of wireless devices, however this has been a slightly mixed bag of technologies and capabilities. Let’s be clear Wireless is not the Internet of things, it’s purely a means of connecting a device without the use of a wired bus. In many applications its not appropriate to have every device wireless and so many installations will be a mix of both wired and wireless. Large metal boxes aren’t always the ideal application for wireless communication and many of our commercial and retail properties are just that. That said I am a fan of wireless, but the reality is that no one wireless protocol will dominate. Bluetooth has been touted as the technology of choice in lighting and it has its merits as it’s in every mobile phone and smart device, but so is Wi-Fi. The IEC along with DiiA has been working to develop a wireless standard and IEC 62386 Part 104 has recently been published as an FDIS (Final Draft International Standard), and will be the benchmark for wireless communication moving forward. Interestingly Bluetooth SIG have worked closely with IEC to get a working standard and BLE will be the first protocol to be supported by DiiA and IEC but it’s not limited to one protocol and Part 104 supports other wireless protocols. We should see the standard ratified early 2019 and commercial products being available mid 2019. It’s worth mentioning that existing Bluetooth solutions are proprietary and as such they have been modified by the manufacturer to optimise key functions to suit their system. These systems will need to embrace Part 104 or provide some form of gateway so that a Lighting management system can interface with these wireless sub-systems. Currently there are some latency issues with some wireless Mesh systems, so you need to determine the level of integration required. Consistency between manufactures is a challenge and the type of Mesh also impacts greatly on performance. The adoption of Mesh 2 should improve timings but when you are transmitting large packets of data it may be prudent to run two different wireless networks together such as Bluetooth and Thread. Run concurrently these provide a seamless integration between technologies and are fully compliant with Part 104. Human Centric Lighting is a buzz word of 2018 and to be honest this is not a new topic. HCL comes in and out of fashion on a regular basis, however the big change has to be the technology. The adoption of LED’s has radically altered the lighting landscape and as such has provided lighting designers with a vast amount of flexibility on colour and intensity to create truly interesting and dynamic lit spaces. HCL is still very much in its infancy with regards to the quantifiable effects of light. We know there are benefits but as with all science, we have to factor in so many variables so flexibility in operation and proper management of HCL is critical. If we look at this from a controls point of view the requirements are fairly straightforward, so the challenge is being able to manage the transitions with pinpoint accuracy and validating changes. DALI-2 sensors with additional capability such as those manufactured by zencontrol use clever optics and software to plot transitions and validate changes. As we move forward into 2019 Wireless will become more accepted and HCL will be a key component of good lighting. Also crucial to all of this is the management of that lighting and choosing the right partner is critical to ensure your system, is as open and cost efficient as possible. Cost ultimately drives everything, so we have to choose technologies wisely. If you make the right choice, then you will maximise the capability of the system whilst minimising cost. The zencontrol platform is the only Lighting Management system that has been designed to fully support IEC 62386 Parts 101, 102, 103 and soon Part 104. Unnecessary hardware is removed, and you have a truly flexible and cost-efficient intelligent lighting control system. With the advent of Part 104 wireless takes on a whole new meaning and lighting control during 2019 will be very interesting. Compliance is key and the risk of not choosing a compliant solution is immense, Value Engineering wireless controls is a very bad idea as proprietary solutions based on a protocol such as Bluetooth may have zero security and pose a serious threat to the security of any building control system. A final comment on emergency, we already have Wi-Fi enabled emergency and with the publication of Part 104 we can transition to protocols such as Bluetooth or thread whilst maintaining the core functionality of DALI device type 1 Emergency. More evolution than revolution but key is the security of the complete system and this is something we take very seriously at zencontrol & Ektor. As a leading manufacturer of emergency lighting we are keen to maintain safety and whether wired or wireless always use open and approved standards. Safety is a right not an option. I could go on but in summary 2018 has been a tough year for many but also a transitional year with 2019 offering some of the greatest opportunities in Lighting control and management. DALI-2 has changed everything and the only way IoT will work is with subnets such as DALI-2. Wireless will be a major factor in lighting but in reality, no single protocol will prevail, more often than not multiple protocols will work concurrently. Security of the system will be paramount so evaluate the integrity of any system before specifying and purchasing and don’t accept the approach that not allowing access is the best form of security. This is the wrong approach as the security relies on one point of access leaving multiple backdoors open. An open approach to security with the appropriate levels of protection is a good approach; at zencontrol we use enterprise levels of encryption along with a few specialist tools that secure the system still further.